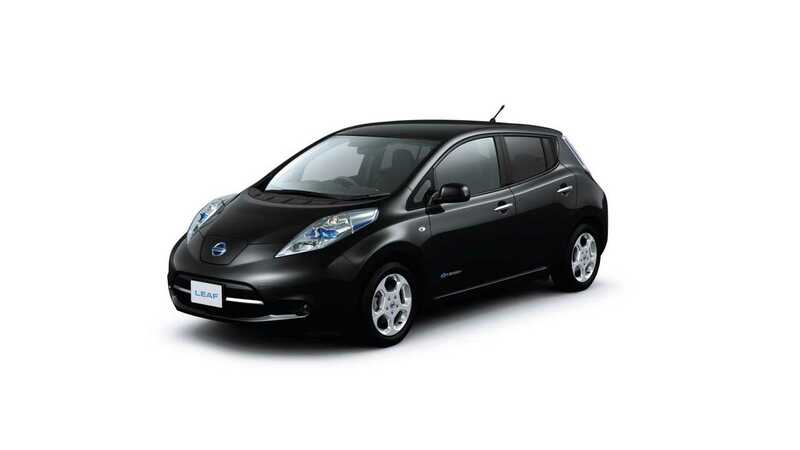 To the best of our knowledge, the highest mileage Nissan LEAF in the US has surpassed 76,000 miles in two years. 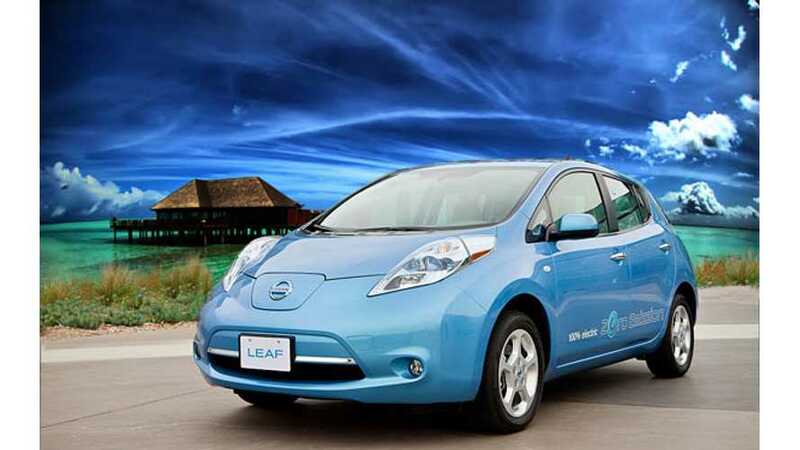 That's impressive for sure, but the owner of that LEAF says the battery pack has suffered some degradation and that it no longer allows him to travel 63 miles on the highway on a single charge. Who's this high-mileage champ? It's Steve Marsh from the state of Washington, known as TaylorSFGuy on the MyNissanLEAF.com forum. Marsh's daily route is roughly 126 miles—mostly highway—to and from work. Initially, to commute, Marsh charged his LEAF twice a day (in the night at home, and during the day at work). 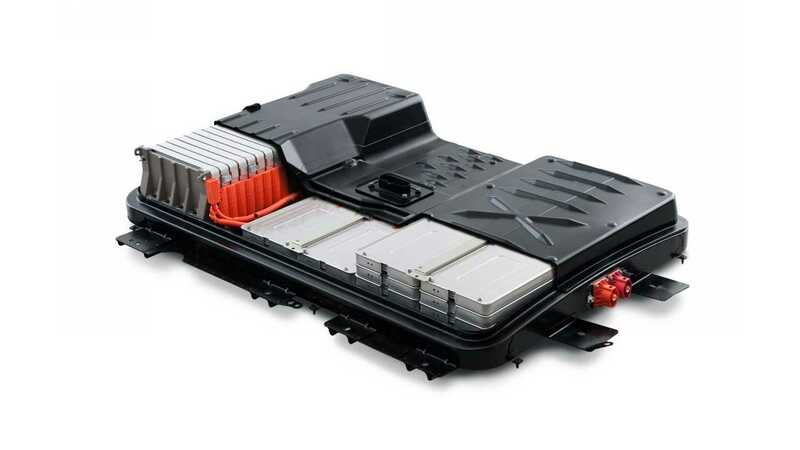 The total number of deep battery charges exceed more than 1,200 cycles. Unfortunately, the progressive loss of capacity that is typical in electric cars, has led to a situation in which it's now necessary to charge "at least twice a day. I'm now using QC once a day if not more." Despite complaints about the declining range of around 20% in January, Marsh's black LEAF still has 12 segments remaining on the battery status indicator. 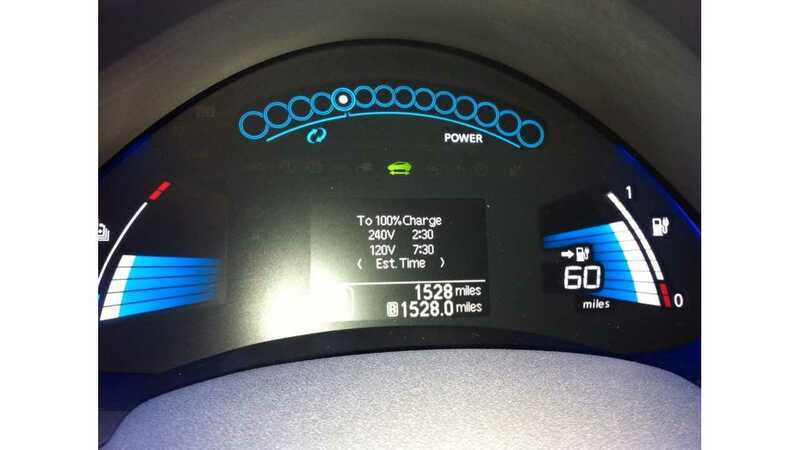 The loss of the first segment would mean the loss of battery capacity of a minimum of 15% and, therefore, theoretically his LEAF still has a capacity of 85% (if the display is more reliable than the observation of the driver). Unfortunately, we don't know the exact capacity drop. Update: Marsh's LEAF lost its first capacity bar on June 1st, 2013 @ 78,600 miles. If we assume that the LEAF has lost 15% of its capacity, the average rate of degradation should be about 2% / 10,000 miles. The ActiveE, with its significantly larger battery pack (32 kWh vs 24 kWh) and active cooling for its battery, has seen a rate of degradation that averages out to 1.8% / 10,000 miles. Although Marsh does complain about a few of the LEAF's less important items—including problems with Carwings— he generally seems to not have lost his enthusiasm for electric vehicles. Maybe as a mileage record holder, Marsh should get a fresh, shiny new battery pack. Or perhaps even a big rabat (no...he's not getting a fortified place...we don't think) rebate on a Model Year 2013 or beyond LEAF? Why not?